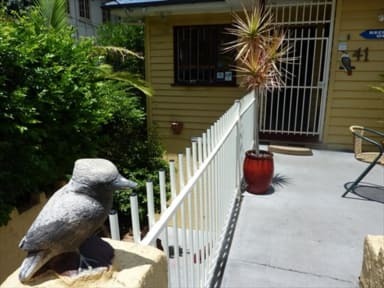 Kookaburra Inn i Brisbane, Australien : Boka nu! We had an amazing stay at Kookaburra Inn. Nothing to complain about. The rooms and bathrooms were really clean and the staff was great! Very personal and helpful. Gave us great advice on what to experience in Brisbane. Located in a calm part of town and only a short walk to the river and queen street. Good kitchen and atmosphere, felt almost at home. If we ever return to Brisbane we will definitely stay here again!